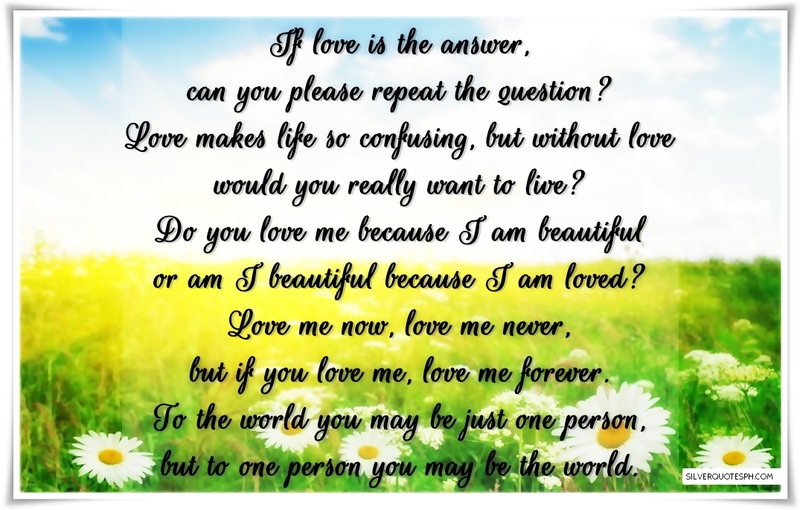 If love is the answer, can you please repeat the question? Love makes life so confusing, but without love would you really want to live? Do you love me because I am beautiful or am I beautiful because I am loved? Love me now, love me never, but if you love me, love me forever. To the world you may be just one person, but to one person you may be the world.